Since 2003, when Madison Boychoir and Madison Children’s Choir combined nearly 50 years of artistic excellence to become Madison Youth Choirs, MYC has inspired over 5, 000 young people in our community to find and share their voices. MYC welcomes singers of all ability levels, challenging them to learn more than just notes and rhythms. Our singers explore the history, context, and heart of the music, becoming “expert noticers, ” using music as a lens to discover the world. 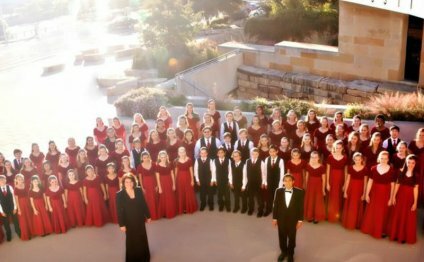 During the academic year, over 500 young people ages 7-18 participate in one of 11 single-gender performing choirs or introductory choirs, led by an award-winning conducting staff of experienced music educators. In addition to two public concert series, MYC conducts an annual spring tour of schools and retirement centers, and performs locally, regionally, and internationally. MYC also collaborates with professional arts organizations including Madison Symphony Orchestra, Madison Ballet, and Madison Opera, while continually supporting and recognizing the work of school music programs throughout the area. MYC strives to break down barriers to arts participation, whether those barriers are financial, perceptual or physical and has worked closely with community partners to develop initiatives that will increase access to music education for all.